Chairman Peter Shipp, who has been with the company for almost four decades, said growing demands on investment meant it would be difficult to continue running the business in its current form. After receiving external advice, the decision was made to sell EYMS to Go North East, part of the Go-Ahead Group Plc. 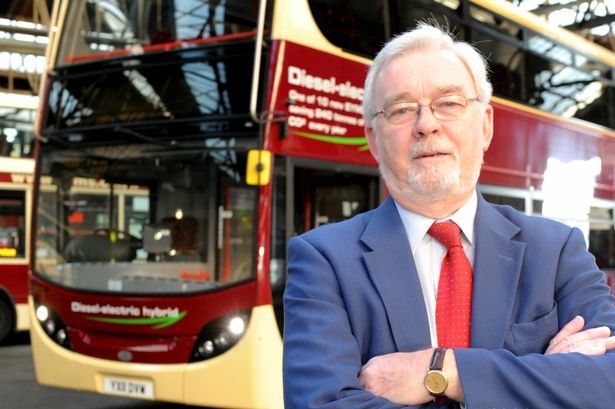 Mr Shipp, who is now 74 and has worked in the bus industry for 56 years, said: “We had a review of the business, as things have been getting a bit difficult for us, and after taking professional outside advice it became clear it would be hard to sustain the business in its current form. “Giving I am 74 and my wife is 73, we thought it would be a good time to find a bigger group to take it forward and put the necessary investment into it. Established in 1926 and owned and operated for the last three decades by the Shipp family, EYMS transports over 17 million passengers annually, has a workforce of 700 staff and runs over 300 buses and coaches throughout Hull, East Riding and the North Yorkshire coast. Mr Shipp said the decision to sell had been made “in the best interests of the staff” and everyone involved with EYMS. He said a range of factors – including the Government’s decision several years ago to cut fuel-tax rebates by 20 per cent – had made it harder for the family to run the business. Mr Shipp emphasised however that EYMS was “doing well,” and that he was confident Go North East would be well-placed to move the business forwards. “The Government does not seem to understand the bus industry,” he said. Mr Shipp said he had no doubt the business would face more challenges in the future. “The message from the new owners is that it will be business as usual. “There will be some difficult decisions to make, but they will not be as difficult as the ones we would have had to make. “Hopefully the future will be bright,” Mr Shipp said. Go North East is one of the largest bus operators in the north of England and is part of the international transport organisation Go-Ahead Group Plc.